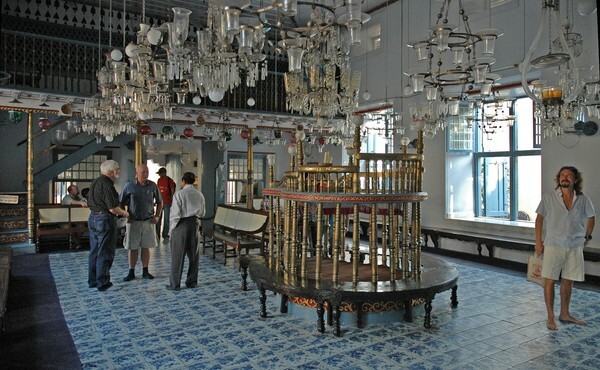 Discover India’s Jewish Heritage in Kochi, home to the country’s longest-established Jewish communities. Known as the Malayalam Jews, their history is vague but evidence suggests that the earliest settlers may have arrived in India after the destruction of the Second Temple of Jerusalem in 70 CE.You’ll see the city’s most important Synagogues, including Chendamangalam and Kadvum Bagam, some of the region’s key places of worship. Visit the Jewish Cemetery and Kochi’s handloom weaving center. Then enjoy lunch at a serene Vedic village resort. The tour continues with a captivating 2-hour excursion around the area’s backwaters, and a trip to the Judeo-Christian Ancestry Tower.